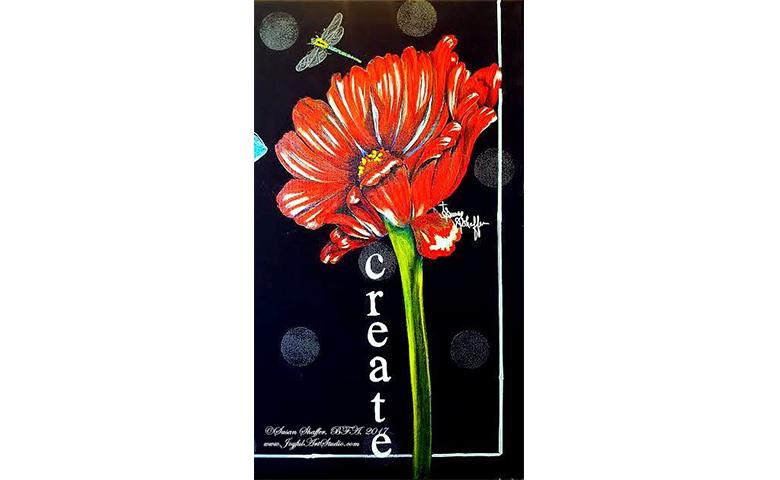 Join me to paint this dragon fly and red poppy, painting three towards the series of four. The painting has touches of glitter, interference paints and metallic shimmering paints...gorgeous painting. You choose if you want to add words. I've tried a great deal to capture a good photo of this painting with no avail. Trust me this is a beautifully detailed painting. The dragon fly is exquisite. This is painted on a 16x20 black canvas with luscious Golden Acrylic paints. If you aren't doing the entire series of four, perhaps you'd rather do this on a 10 x 20 black canvas, just choose your canvas size below.